We have lots of garden log cabins for sale please use the menu opposite to view our log cabins with free delivery. 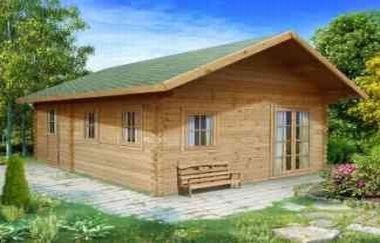 Log cabins offer you the ability to expand your home without the need for planning permission. If you are planning to build a log cabin in your garden within 2 metres of a boundary you will need to select a log cabin less than 2.5m high from our 2.5m high range or we can design a bespoke log cabin to avoid the need for planning permission. If you are looking to expand your home business or office space or your family is out growing your home then you should consider a garden log cabin. Garden cabins are relatively inexpensive compared with extensions or conservatories and in many ways they are far more beneficial. A garden office is close to home but not in your home and therefore you are not distracted at work and can shut the cabin door and walk away in the evening. We can also build bespoke log cabins to your specification. if you cannot find a log cabin that meets your needs in our standard log cabin kit range contact us with your requirements and we will be able to price a bespoke cabin for you.